Chocolate making experiences are ideal for those who just LOVE chocolate and long to know the secrets of chocolate making so they can get more of the thing they love. Where can I enjoy one of these naughty experiences? The good news is that chocolate experiences are nationwide, so there’ll be one near you. We know them all and can confidently say that they’re all as absolutely delightful and enjoyable as each other. Woohoo! Why is this our top seller? It’s available in loads of places, it’s a great experience and the price is nice. What more do you want, you greedy monkeys!!! 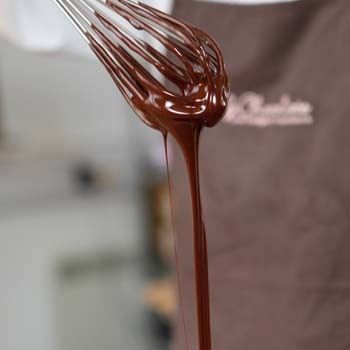 First, don’t worry, you shouldn’t get too messy and covered from head to foot in chocolate! You may get a bit on your hands, (and we came away with it all round our mouths!) but that should be all. The actual content of each workshop varies slightly, so make sure you check out the details of your chosen one, but they all are tailored round the same basics. There’s an introduction to chocolate, with some of its history and the secrets of how it’s made. 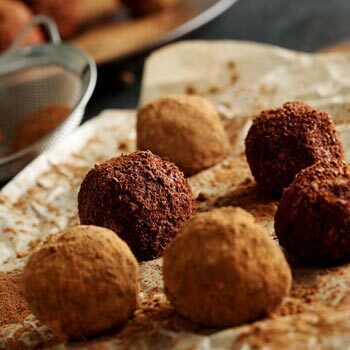 There are tastings and demonstrations by skilled chocolatiers, and then you get hands-on as you make your own truffles from the raw materials. There’s skill involved, but it’s easy once you’re shown how. You get to make and decorate your own creations. You have a great fun time with all the other chocoholics who’ve come there with the same love of this sweet,sticky,addictive treat as you. 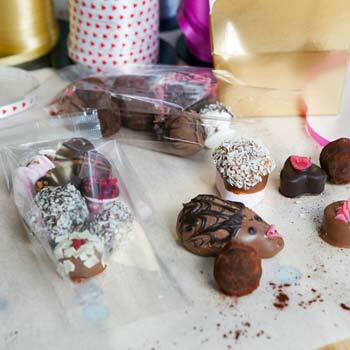 And last but not least, you get to take home loads of chocolate creations and goodies to impress your family and friends – and it’s amazing how many friends you’ve got then!! What is the cheapest chocolate experience? We’ve got together in one place for you all of them that there are (top suppliers only – we don’t offer experiences from people we don’t know and trust to give a fabulous experience and great value for money!). We keep prices updated for you in real time so you know the prices can’t be beaten, and also you get to take advantage of any special offers as soon as they are available. 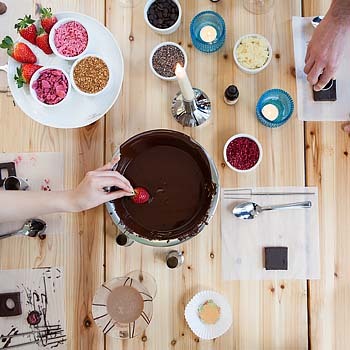 So if you want a chocolate workshop at the cheapest price, then this is the place to find it. Just find the one you like the look and the price of, click through to check out the details and location, and when you’re happy you can buy your experience there and then in perfect confidence. And finally, don’t forget to come back and give us your own review – tell us and other readers what you thought of it. Just imagine who you could buy this for as a birthday, Christmas or Thank You present – it’s an amazingly cheap experience, and is so enjoyable that we’d recommend it as a gift to anyone who loves chocolate. And as we don’t know anyone at all who doesn’t love chocolate, then it would make a perfect original gift idea for just about everybody. Imagine their surprise and pleasure at receiving this fabulous gift! And of course they’d be obliged to share their creations with you when they got back, wouldn’t they? Or why not go with a few friends and have chocolatey fun together? Basically like a grown-up kids party – get covered in sweets and chocolate and eat until you’re full! Me and my girlfriends attended the workshop in Leeds. We had a really fun day, but the thing that sticks out is the astonishing amount of chocolate we all ate. Seriously, maybe two large blocks of chocolate each, and anything we didn’t eat, we got to take home with us afterwards. We probably ate £10 of high quality chocolate each, not to mention the giggle we had getting covered in the choc and learning techniques for making chocolates. I never thought I’d reach a point where I couldn’t eat any more chocolate, but in the fight between girl and chocolate, this time, chocolate won! Thanks for the review Sally.